The motor that runs the fan in the heating and air conditioning system is called a blower motor. It's located inside the dash, often on the opposite side of the steering wheel or inside the engine compartment on the firewall. Ford blower motor resistor. See also: Fig 1 Fig 2. In most modern cars, the speed of the blower motor can be adjusted gradually. 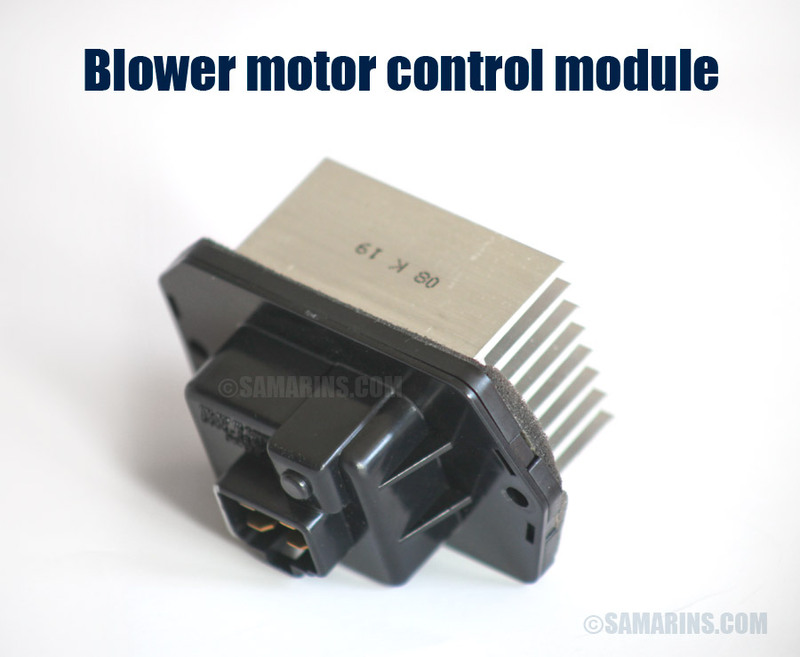 The electronic module that controls the speed of the blower motor is called a blower motor control module. In some cars, the blower motor has only 4 or 5 fixed speeds. In this case, the speed of the blower motor is controlled by a blower motor resistor. Read how it works on the next page. 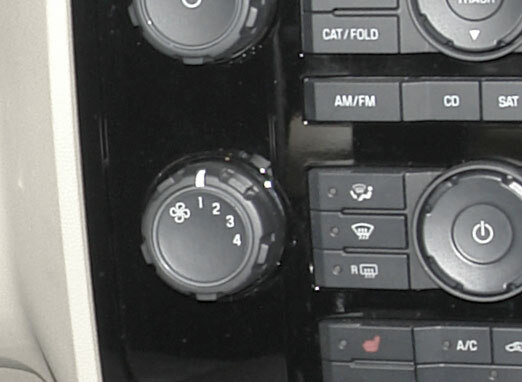 How can you tell if your car has a control module or a blower motor resistor? 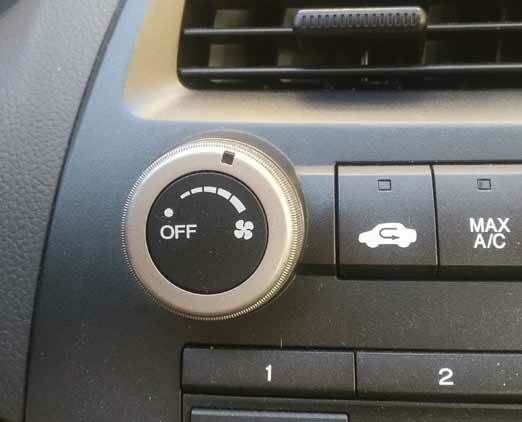 Look at the heater fan switch. For example, the fan in this 2010 Ford Escape has 4 fixed speeds. This means this car has a blower motor resistor. This 2009 Honda Accord has a gradual fan speed adjustment, which means it has an electronic blower motor control module. It looks different too, see the photo. 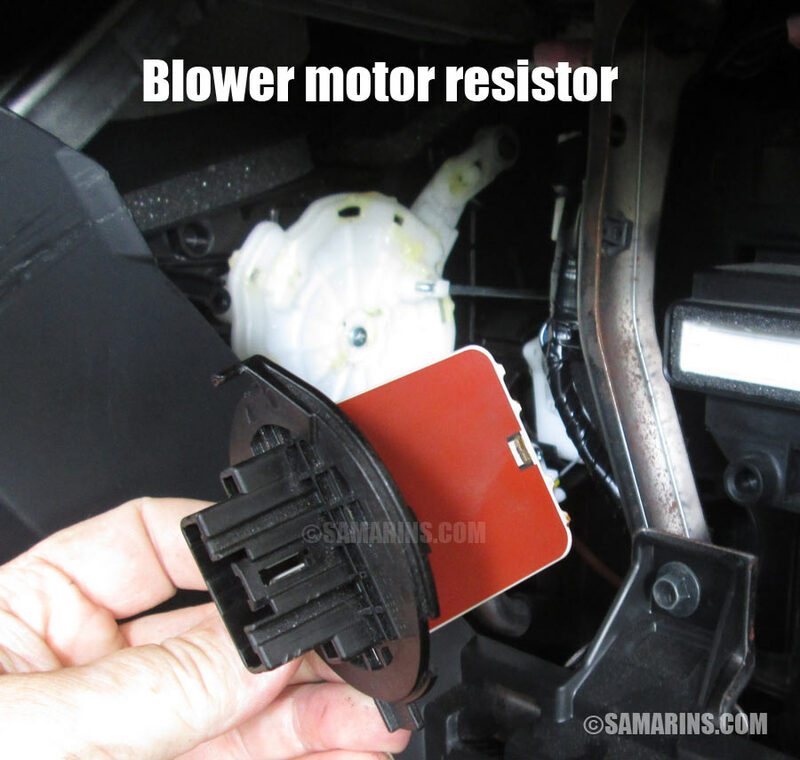 Problems with a blower motor resistor are common in many cars. The most common symptom of a failed blower motor resistor is when the heater fan only runs at high speed and doesn't work at low speeds. 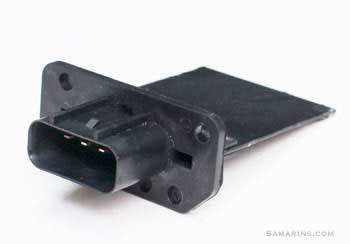 In some cars, a failed blower motor resistor can cause a heater fan to stop working completely. In most cases, a blower motor resistor fails due to corrosion or overheating. for example, when the fan blade is jammed by foreign objects or when the motor bearings are worn out. How is the blower motor resistor diagnosed? Often a visual inspection of the resistor reveals the problem. 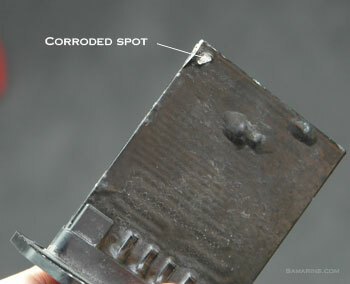 For example, as you can see in this photo, the blower motor resistor in this Ford Escape has failed due to corrosion. If the resistor shows no visual damage, the resistance between terminals must be checked and compared to specifications. If the resistance is out of specs, the resistor must be replaced. 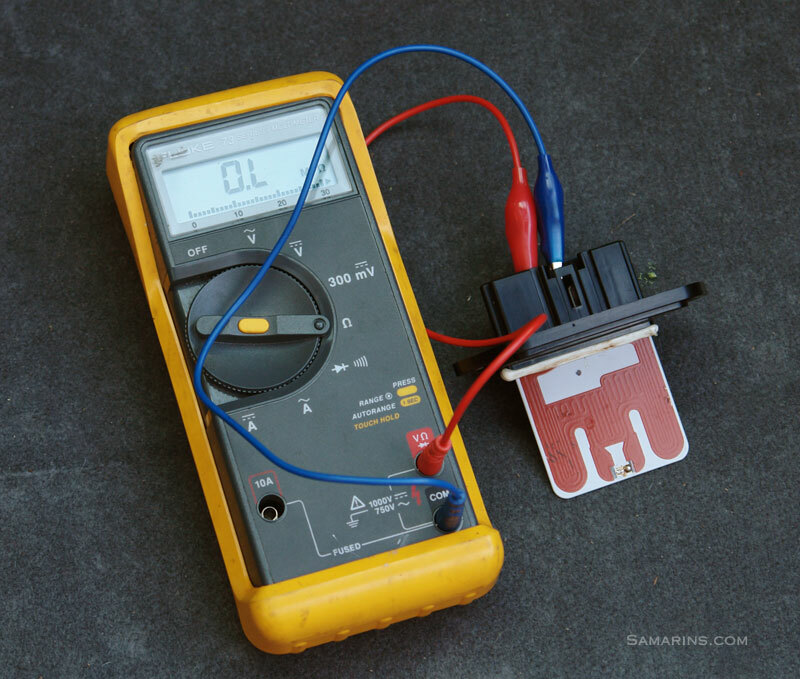 For example, in this photo we measured the resistance of this blower motor resistor. According to the service manual, it must be around 4-5 ohms. In our case the ohmmeter shows open circuit, which means the resistor has failed. Often a blower motor resistor fails due to problems with the blower motor itself. We have seen instances where a worn-out blower motor causes a recently replaced resistor to fail again. For example, this issue was common in older Chrysler and Dodge minivans. In this case, the blower motor must also be replaced. How to test a blower motor? If the blower motor doesn't work at all, the blower motor itself must be tested first. Typically it's done by measuring the voltage at the blower motor connector when it's turned on.